Home And Away continues to log a regular 700,000+ audience with 764,000 last night. On My Kitchen Rules the Russians dodged a cheating scandal but it wasn’t enough to avoid elimination and the girls were sent packing along with truffle farmers Henry & Anna. Meanwhile, besties Stella & Jazzey secured the last semifinal spot for 2018, impressing the judges with a near-perfect entrée and main. 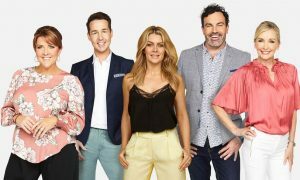 The Tuesday episode did 1.22m ahead of the first semifinal tonight. Mediaweek was among some viewers who wondered what happened to the much-hyped “cheating scandal” on My Kitchen Rules. 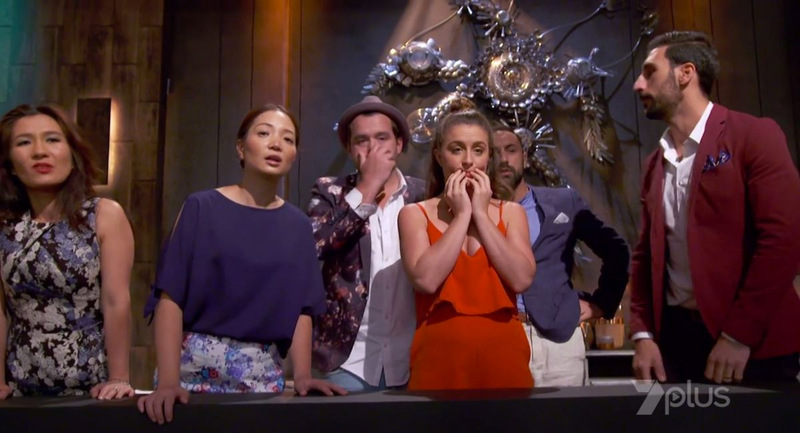 It was meant to be the cheating scandal that would send “shockwaves” through My Kitchen Rules headquarters, wrote Fairfax Media’s Broede Carmody. But what went to air on Tuesday night barely even registered on the Richter scale. Interview was perhaps at its best yet with Richard Roxburgh the first guest on episode three. He told some great stories and dropped some colourful phrases like “sailing away on the good ship Yalumba”. Actor-turned-Instagram sensation Celeste Barber was also on the show. Sensation is a word thrown around pretty liberally in TV publicity but with 3.8m Instagram followers, Barber must qualify. The episode had an audience of 449,000 after the first two weeks attracted 598,000 and then 523,000. Tracy Grimshaw was on location for a special edition of A Current Affair on Dolly Everett, once a cute kid in an Akubra hat, who should have been turning 15 this week. The episode did 811,000 after 893,000 on Monday night. The Voice featured the final Blind Audition episode ahead of the Knockouts next Sunday. Team Kelly was already complete so the final Blind Audition saw Boy George, Delta and Joe Jonas complete their teams. The episode did 1.0m. It was Nine’s turn for a Royal Wedding special with Diana To Meghan: Royal Wedding Secrets, which did 524,000 after 9pm. The Project was devoted to a comedy special fundraiser for Beanies 4 Brain Cancer with viewers handing over $2m across the hour. There were plenty of gags across the hour with Amanda Keller and Hughesy special guests at the desk. Highlight was the four-minute stand-up routine from Steve Price. You could see the gags coming a mile away, but they were worth waiting for and the segment peaked when it nearly turned into a Hughesy roast. Tommy Little also got his gear off, Russell Crowe sent in a video and the lovebirds from Bachelor In Paradise, Sam and Tara, were also guests. The special episode started on 365,000 and climbed to 560,000 after 7pm. Episodes three and four of season 12 of Bondi Rescue followed with 405,000 and 306,000. Hughesy, We Have A Problem had the A team on board last night – Becky Lucas, Lawrence Mooney, Kate Langbroek, Tommy Little and Merv Hughes. A body language expert summed up the lineup, noting the host looked like a psychopath because he didn’t blink. The episode was on 370,000. NCIS: Los Angeles followed with 260,000. A second week of The Checkout: Factory Seconds did 368,000 after 341,000 last week. Part two of reporter Peter Greste’s General Monash And Me did 370,000 after 379,000 for part one. Next was actress Judi Dench, who explored the magical and secret lives of trees in a doco filmed over the course of a year in Judi Dench: My Passion For Trees with 260,000. Episode three of Who Do You Think You Are? featured Natalie Imbruglia with 323,000 watching after Charlie Teo pulled 433,000 last week. Insight talked to people in open relationships with 221,000 watching. Dateline then had an audience of 119,000 for Yemen’s Children Of War.